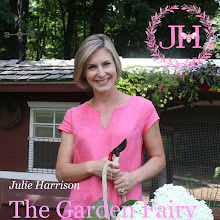 Julie The Garden Fairy: Save the Riverbank! One of my design projects that I have been working on is right on the Farmington River at the Tunxis Plantation Golf Course in Farmington, Connecticut. The Farminton River Watershed Association asked me to work in collaboration with them to help stabilize a portion of the riverbank with a native planting. So fun, and surprisingly, easy! There are lots of native plants to choose from that together, provide interest thorough out the year. 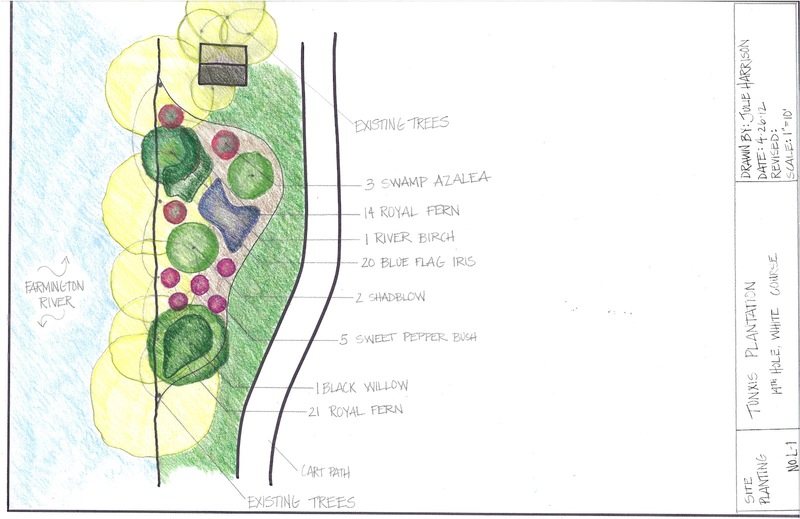 Here is a quick sketch of the area- I’m hoping that this planting will go in soon as with each river flood, a little more of the riverbank gets swept downstream. Julie you were amazing on Better Connecticut! Thank you, thank you,thank you, Greg and Lisa! I'm so glad that you found my blog!